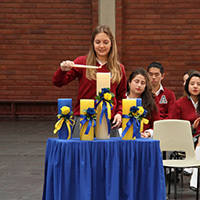 The National Honor Society is a nationwide organization from the United States of America with chapters in high schools both in the United States and around the world. 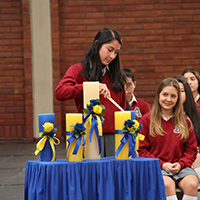 The National Honor Society recognizes students not only for their hard work and outstanding academics, but also those that demonstrate abilities in leadership and service as well as possess great character. These four pillars are the guiding forces behind our chapter. 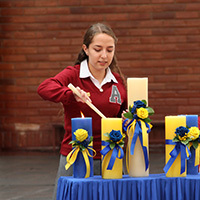 The Colegio Americano de Quito Chapter of the National Honor Society strives to challenge members to involve themselves more deeply in the school community through numerous activities and services, and to demonstrate their leadership abilities through the development and completion of these activities. Students that demonstrate character are honest, cooperative with each other, show high standards, and have strong values. They are also respectful, reliable and responsable. 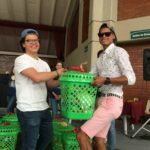 These students stand out of the crowd, and they care about the community. They are principled and do not allow others to influence their decisions. Leaders are problem solvers in their community and are always contributing with their ideas and experiences in order to guide the community. They take the initiative to make a difference and get others to follow. Their actions help to improve the community in which we live. Students must be responsible with their academics. Members of NHS are required to have outstanding grades (minimum 93%) and outstanding behavior (minimum 90%). 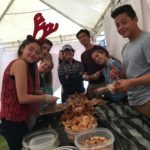 These students know how to balance their academics with their extra curricular activities. Members of NHS care about and volunteer around their community to make it better. Members are concerned about the environment and their surroundings, and they look for ways to improve it. They perform these actions without expecting anything in return because they truly care about others in their community. The members of National Honor Society are some of the most giving students at school when it comes to dedicating extra time outside of school to help and get to know the people that do so much for us in our community. 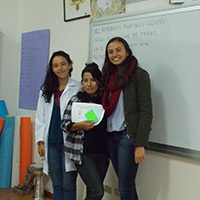 Members of NHS offer English classes to the maintenance staff at Colegio Americano. These classes are held after school one day a week. The members of NHS pair up to plan a lesson and teach to the staff. 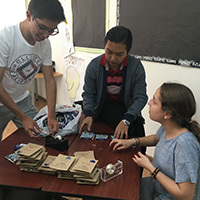 Lessons include greetings, numbers, objects in the school and workplace, verb conjugations, and other basics for speaking English. Other members of NHS stay to work more closely with the staff in case they have any questions about the material or to work in small groups depending on their level of understanding. NHS students use this as an opportunity to get to know and give back to those people that work hard for our school community everyday. 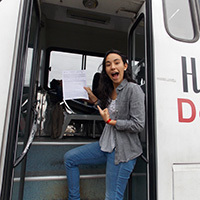 Twice a year with the help of the Ecuadorian Red Cross, NHS sponsors a blood drive on campus in an effort to raise awareness about the importance of donating blood. 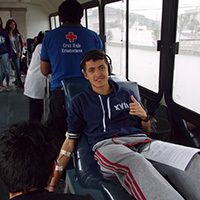 The blood drive is an opportunity for students and teachers to help those that need it the most and to save lives. 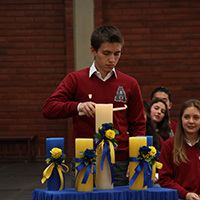 One of the most important values Colegio Americano de Quito teaches its students is to show solidarity and generosity. 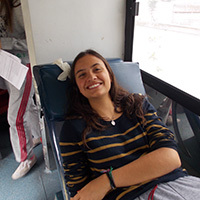 By donating blood, the people of Colegio Americano de Quito have the opportunity to give back to their community and provide for those who suffer the most. 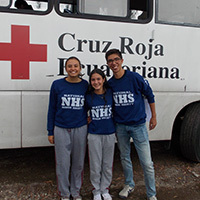 National Honor Society members are responsible for encouraging students to donate blood by giving information sessions and motivational talks. They are also responsible for assisting the workers from the Red Cross and to keep the donors relaxed and excited to be a part of this selfless act. Christmas is about giving back to those that are important in our lives. 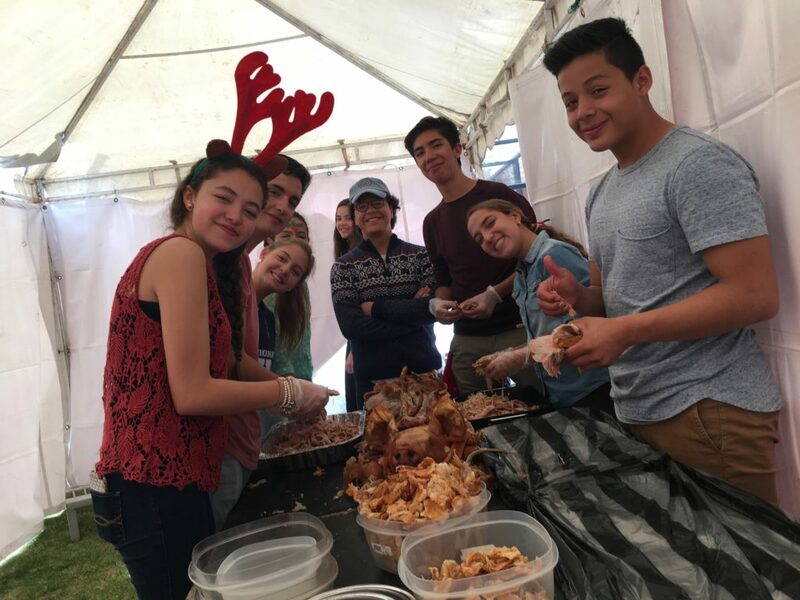 Every year, the members of NHS organize a Christmas party for the school’s maintenance staff and their families to show them how much we appreciate all of the hard work they do every day for us and our school. 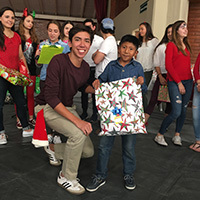 NHS students plan the whole morning by providing entertainment like playing cards, bingo, musical chairs, arts and crafts, sports and even a little Christmas caroling. The members even bring and hand out gifts to the children. This event is one of the most cherished events the members organize and embodies everything that National Honor Society stands for. 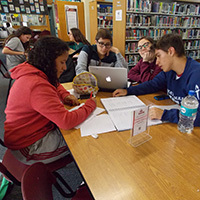 The tutoring program led by NHS members supports students from both the national and international sections. 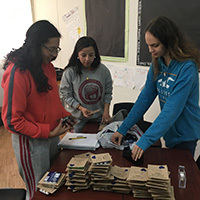 NHS members work with students during extracurricular hours on topics such as English proficiency for 7th and 8th graders to IB-level sciences for 11th graders. 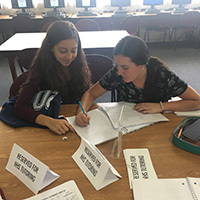 During the week before exams, extra help is also offered to give students that need additional support help so that they are successful on their exams. 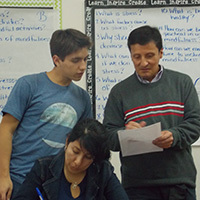 During a typical tutoring class, the tutors begin by helping students to understand their homework. Students choose the assignments they find the most challenging and would like some help with. Students will also work on English work like grammar, reading comprehension and essay writing with their tutors. The tutor provides guidance and instruction without doing the work for the students. 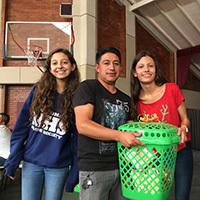 NHS hosted a School Trash Cleanup week, with new features unique to the NHS Organization of 2016-17. This year the NHS chapter decided to pick up trash all over the schools yard’s and patio’s. 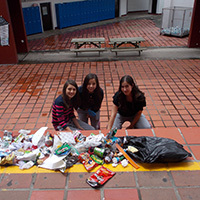 All of this trash was weighed and the weight of that days trash was posted in the 9th grade patio. 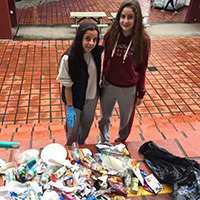 This allowed the entire schools to see just how much waste they were simply throwing around! 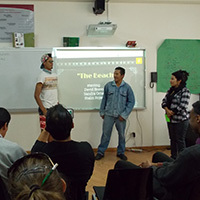 The quantification of trash in kilos really made an impact on the audience. Moreover, there was a special punishment for the people that the NHS trash “police” saw dropping more garbage than others! On the last day of Trash Week, the trash “police” sprayed hair spray at the schools worst polluters. This was a fun and exciting conclusion to the NHS Trash week, that also taught a lesson to those who thought no one saw them pollute. 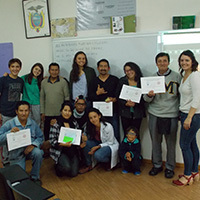 Since the teachers at Colegio Americano de Quito work so hard, it was necessary to express our gratitude towards them on Teacher’s Day. 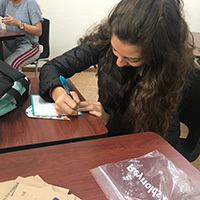 This project required the participation of the entire NHS chapter, and every NHS student made a card for the teachers of our school, making sure every single teacher received a letter of appreciation. 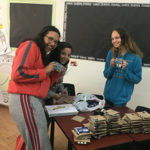 All the letter were customized and specific to the teacher they were addressed too, with heartwarming messages of gratitude towards our amazing teachers. The teachers reported that this project was one of the most heartfelt teacher’s day messages they had ever gotten, thanks to the personification of each message. Promote NHS is a commitee dedicated to showing high school students what the National Honor Society is doing around school and how it helps the community. This committee also brings innovative ideas to the school in order to ensure a better environment in all aspects. The main objective is to inform the school community of the importance of the National Honor Society and to motivate younger students to apply so they can become a member of NHS. Random Acts of Kindness Week is a week-long event that encourages people to be kind to be kind to everyone without expecting anything in return. 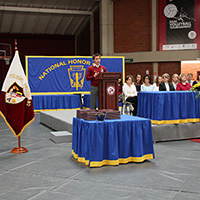 The Colegio Americano de Quito Chapter of the National Honor Society requires all applicants to have a minimun of 9.3 academic average and 9.0 discipline average, starting in secondary. Evidence of service and leadership needs to be given in the form of certificates, photos and a brief description of the activity. 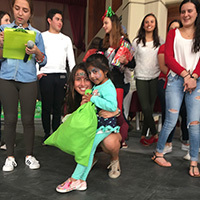 A one page essay showing what kind of person he or she is and how they can contribute to the Colegio Americano de Quito Chapter of the National Honor Society. 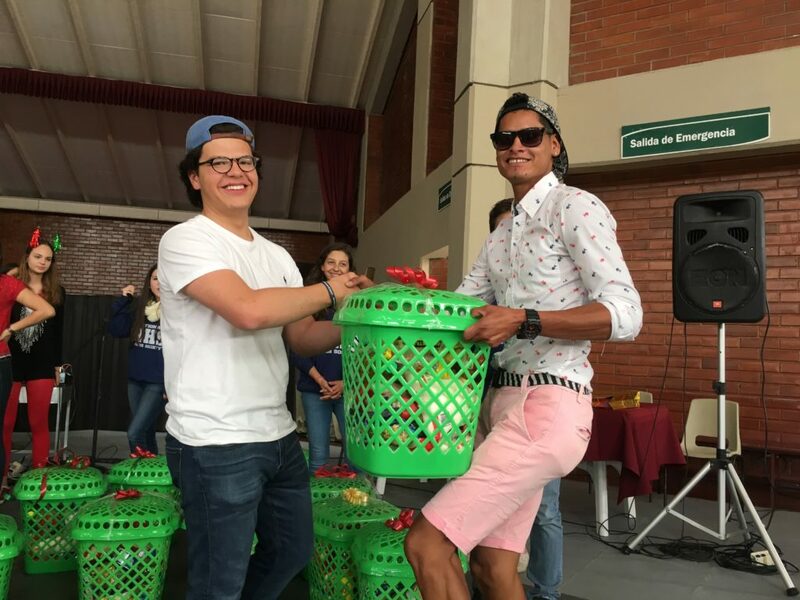 Three recommendations from teachers at Colegio Americano in various departments that have known the applicant for at least one year.